DIY: How to Restore Your Bricked iPhone? You are here: Home / Apple / DIY: How to Restore Your Bricked iPhone? Help! My Iphone isn’t responding! Is it dead? An unresponsive iPhone- one which won’t turn off or on, won’t make calls won’t be recognized in iTunes or won’t do anything at all for that matter- is referred to as an iPhone brick. Why? Well, an Apple device which does nothing is only as good as a paperweight or brick! Why has my iPhone turned into a brick? Bricking usually occurs due to interrupted or failed software update. But it may also occur when a user tries to unlock the carrier or some jail breaking is attempted. It has been seen that users attempt to unlock their phone either to install third party software or to shift from one carrier to another without having to spend much of a fortune. It may seem to be an easy way of cost-cutting, but eventually it will make your iPhone vulnerable to bricking, as you connect it to iTunes for any update. Is a bricked iPhone making you feel dizzy? Are you planning to rush to the nearest authorized service center or some Mobile Development Company? Wait, until you read this. There are a few things which you can do own your own to ensure your iPhone springs back to life soon! How to Bring your Apple Device Back to Life? Press and hold the power button for a few seconds until a red slider shows up. Swipe through the slider and the device will be turned off. Now again press the power button for a while, until the Apple logo appears. If the phone still doesn’t respond, move onto the next step. Press and hold the Home button (located in the center at the bottom of the device) and power button simultaneously for around 10 seconds, until the Apple logo appears. Restore the default factory settings of the device. To be assured, you can restore the device via iTunes or wirelessly. If this doesn’t work out, follow the below mentioned steps for your rescue. Hold the Home button for a while and simultaneously, connect the device back to the cable (keep holding the button). Once the ‘connect to iTunes’ screen appears on your device, release the home button. Now your iPhone can be restored in iTunes. After 10 seconds, release the power button, but continue holding the home button until iTunes prompts for restoration. Unlike in the Restore mode, your iPhone will display a blank screen in the DFU mode. It is best to keep a clock handy to make a note of the time consumed in the process. Note: Step 3 and Step 4 mentioned above can be risky, but once executed successfully they can make your bricked iPhone work within no time. What Do I do if my iPhone still doesn’t respond? In certain cases, the Apple device won’t work even after you follow all the aforementioned steps. In that case, here is something you can do. Make sure you have an updated version of iTunes. If not, update it immediately. Make sure the computer you are using in the process has an updated operating system. Configure firewall, security software and router settings carefully and keep them updated. 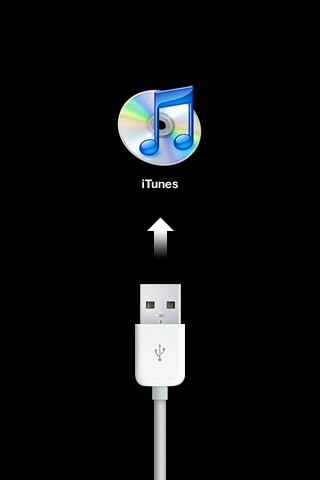 This will allow iTunes to download firmware updates for iPhone. As you connect your phone with your PC, make sure you remove all other USB devices like printer, scanner, camera etc., other than mouse and keyboard of course. Restart your computer and try processing the aforementioned steps again. If your device still refuses to come back to life, even after reattempting the above steps, you can get a new account or use another computer for restoring in iTunes. Above all, it is important to embrace the fact that au courant technologies may serve numerous benefits and render high-end performances, but they are still a little behind perfection. Luckily, iPhone behaves nasty at very few instances, and when it does all you need to do is to stay calm and composed. Hey nice tips, recently my friends iPhone got spoiled he bought a new HTC mobile should do practicals with iPhone which he kept aside. One other tip, that I just got from someone whose iPhone got stuck in the middle of the 9.3 update, and none of the above helped…. He was connecting the device to Windows (dunno which version) — no problem, some people need to use that. But it was the Symantec anti-virus software that prevented iTunes from connecting properly. Once the Symantec software was disabled, the hard-reset worked fine.